After being asked to leave a church, Keith found himself looking for new life in, of all places, a funeral home. One of his church members (David Burton) rescued him from unemployment and hired him as a counselor. Between that good staff and a loving congregation (Fairview Presbyterian) on the outskirts of Erie, Keith and his family were nurtured back to a sense of wellbeing and trust in the blessing of church community. Because of, and through the journey, he came to understand (maybe for the first time) the need for the gospel and the process of spiritual formation. He believes that faith growth is reliving the life, death, and resurrection of Christ, every day and for as long as we live. To grow in theological thought, we must let go of what we previously believed. As churches have ebbed in attendance, he has sought to put that process in action and find God’s direction of new life for himself and congregations. He and Joyce MacKichan Walker, with the Event Committee, reflected this in the Baltimore APCE Event in 2015. Entitled “Fear Not,” the speakers and worship services emphasized faith despite fearful transformation of our ministries. Locally, through the Eastern Region, Keith and Rev. Dr. Beverly Cushman, former professor of Spiritual Formation at Westminster College, developed a program called “Jump Start” to help interested congregations begin their formation ministries again. Keith will tell you that not much has stayed the same in his ministry over the years. In the 70’s when he began, it was in college that students were introduced to world religions. Now children need to be familiar with them to understand their own faith and to make friends with those of other faiths. He feels the weekend his congregation and Temple Anshe Hesed welcomed Amy Jill Levine to their buildings symbolized this dramatic change in Spiritual Formation. Taking a year and a half of conversation and mutual education, the combined committee, found enough common ground to hold a worship service in each other’s sanctuaries, host a lecture series, and a combined Sunday School. This is just but one of the issues facing faithful Christians today. Teaching must touch on a number of complex issues such as race, sexual orientation, ecology, genetic engineering and so forth. Our curriculum parameters have expanded. 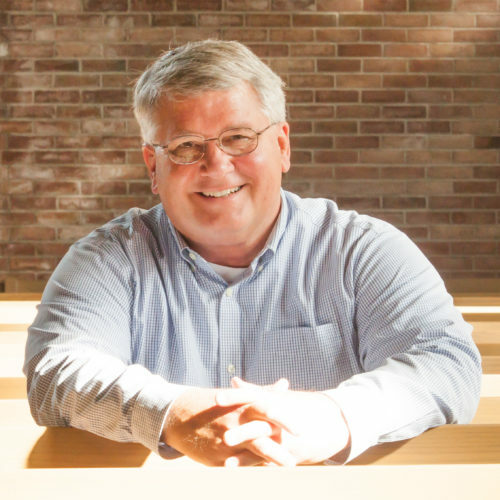 Keith’s ministry began at First Presbyterian Church of Bethlehem and has led to serving in his home church, Wayside Presbyterian, for the last 18 years as the Associate Pastor. He is currently moderator of the Spiritual Formation Committee of the Presbytery of Lake Erie. He is a past president of the Eastern Region of APCE and remains on the board helping with hospitality. He and his wife Barb are grateful that their three married children and eight grandchildren live only a few miles from their home. They met at Grove City College and she supported him through his studies at Louisville Presbyterian Theological Seminary and Pittsburgh Institute of Mortuary Science. His children and their spouses are teachers at the church and the grandchildren are some of the little ones who come forward for the children’s sermon. He is currently working on a manual for pastors on how to do funerals based on his eleven and half years at the Burton Funeral Home. Although retirement draws closer, he will continue to serve the church through the presbytery and along side his friends in APCE.